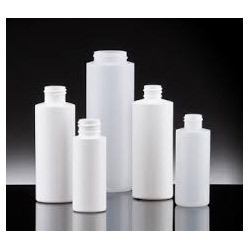 Due to enormous market proficiency and information of this domain, we are affianced in providing a high quality assortment of HDPE Plastic Stainer Bottles. The provided bottles are developed according to the on-going development of the market to ensure that these are able to place high on the desire of our patrons. Along with this, we are providing the facility of developing these bottles as per the stipulations offered by our patrons utilizing supreme grade raw material. Incepted in the year 1983, Sai Plastic is one of the well-known and pioneer companies of the industry betrothed in Manufacturing, Trading and Supplying a dynamic and highly admirable assortment of Oil Bottles and Jars, Liquid Neel Bottles, Garam Masala Jars, Milk Powder and Ghee Jars, Pesticide Containers, Stainer and Paint Bottles, Pet Bottles and Jars, Cosmetic Bottles and Jars, Plastic Granules and Jerry Cans. We are also a Service Provider and provides Automatic Screen Printing services. Developed making uses of supreme grade basic material and highly progressive machines and tools, we ensure that the complete assortment is in compliance with the industry defined standards and guidelines. The entire assortment of products are known for their uses in different industries which comprises pharmaceutical, food industries and different others for packaging industries.